Egypt’s start-up society Egypreneur launches its application for Android OS, as a new channel to connect to the country’s entrepreneurs. “The Egypreneur App had been in the pipeline of products at Egypreneur to be able to empower Egypreneur(s) to start and sustain their businesses on the run,” AbdelRahman Magdy, Founder and CEO of Egypreneur, proudly presents the organization’s latest communication tool. So far, the application contains Egypreneurs live community and Twitter-stream, their “OppAlert” – a service that keeps entrepreneurs updated about events and competitions relevant to their startups, and an “About us”-section. What encouraged the idea of a mobile application was the increasing number of smartphones in Egypt, and the initiative to offer a more convenient medium to entrepreneurs in need. The word “need” includes everything from opportunities, over content and education, all the way to funding. 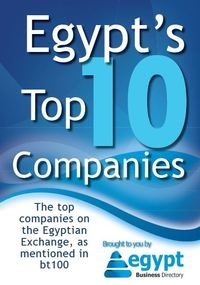 Since Egypreneur believes in the necessity of connecting and empowering Egypt’s young businessmen, the organization also designed the #Good2Great internal change and scalability campaign, which will launch everything it has worked on in the past two years and evaluate its impact on every single entrepreneur in Egypt. “The app is just another channel to connect entrepreneurs and empower the next generation of Egyptian entrepreneurs who we believe will be driving change to Egypt,” Magdy confirms. Until now, the application is available for Android, but soon, it will be available on the AppStore for all major platforms.